what is the optimal speed for knee draging? If you try to force a knee down, you're increasing you chances of making a mistake. Gotama is right: getting a knee down isn't a goal, it's a reward for doing things right. I won't say it can be done at any speed. But it can most certainly happen in a parking lot. This is someone on day 2 of the Total Control Advanced Riding Clinic. They even cover trail braking. Skills like knee dragging and trail braking aren't appropriate nor necessary for street riding. But a track environment isn't necessary to learn them. In fact some track organization are probably as dangerous to riders trying to learn as the rider trying to teach themselves on I-95. Poor organization, poor instruction and little to no feedback. 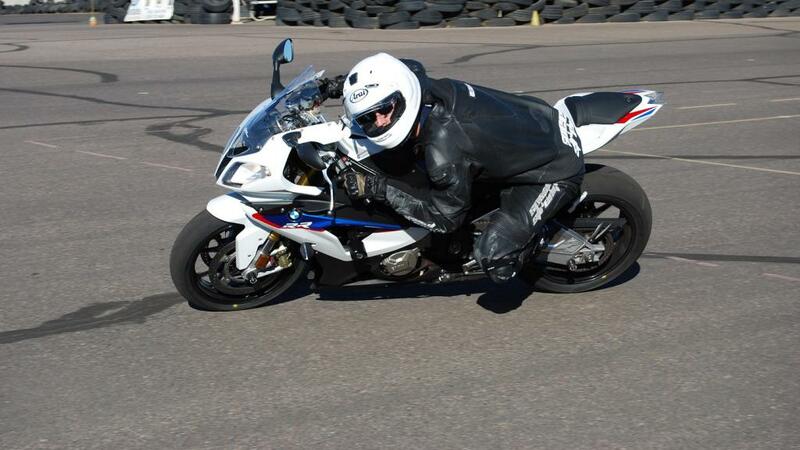 To delve in further though, why is knee dragging a byproduct of good cornering? Why is it useful? Knee dragging helps to gauge your lean angle and if you're really pro it can help you to keep your tires on the tarmac if your front wheel ever washes out. That second reason sounds unrealistic, but Colin Edwards stated it in an interview a couple years back. Knee dragging is a byproduct of good body positioning + lean angle. If your *** is off the bike but you leave the knee up against the tank, all you're doing is rotating your body around the bike, not actually changing the center of gravity by hanging off. If you get your *** off the side of the bike and stick your knee out, it helps to center your spine parallel to the bike (the standard way you should be doing it) i.e. keeps you square on the bike. I know body positioning is different for everyone and there have been some very fast guys like Barry Sheene who didn't really hang off and "technically" did it wrong by rotating his body on the bike, but for arguments sake these are the most conventional reasons. P.S. My friend dragged knee in a parking lot on his F4i going like 10-15 mph. I also heard it helps in cornering by creating a pivot point. And by creating drag when you stick your knee out into the airflow, helping pull you into the turn. Sometimes riders have great body position, they are going reasonably fast, they are sticking their knee out but they STILL can't get it to touch down. What are some reasons why some riders can't get a knee down even though it seems like they should? At that point I'd look at the hardware. The bike might be tall, suspension/rearset adjustments could also have something to do with it. There's also the possibility that the corner isn't sharp enough or the line being taken doesn't warrant using that much lean angle. 99% of the time, I've found riders THINK they're leaning their bike when they actually aren't and they THINK they have good body position when they actually look like stumps sitting square on their bikes.